Hello all you crafters. 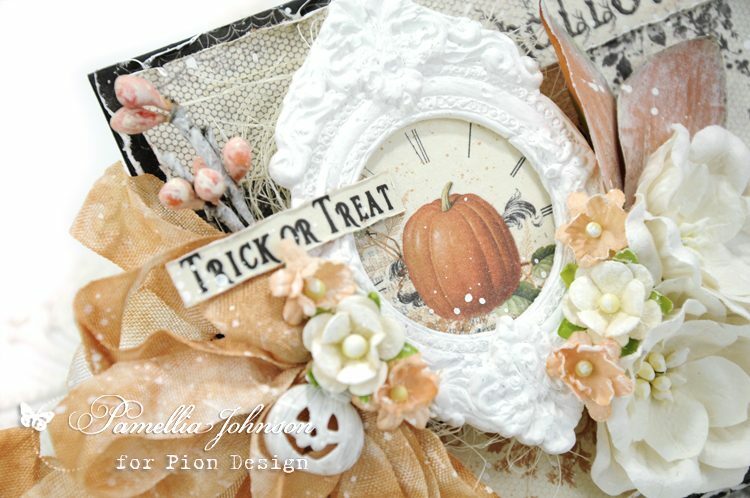 Are you all ready for Halloween yet? 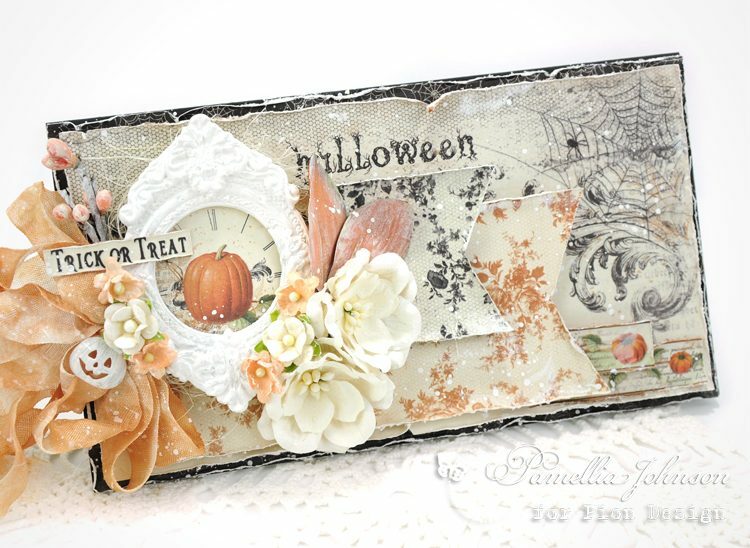 I hope not, because you will not want to miss out on Pion Design’s Halloween collection – The Witching Hour. 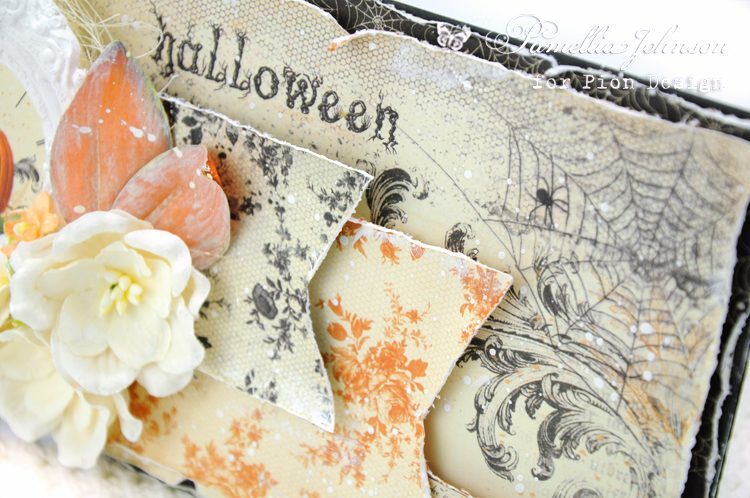 Today I’m sharing this shabby Halloween card featuring some of these fabulous vintage papers!